Robert Williams and Jack Aylward-Williams contribute their work to this exhibition. The Nabokov Paper is a project by Kate Briggs and Lucrezia Russo. It takes as its starting point a series of exam questions set by Vladimir Nabokov in the 1950s, for students of his now famous lectures on great works of European fiction. In April 2012, ten artists, eight writers, six university professors, three translators, two architects, a librarian, a curator, a graphic designer, an illustrator and a computer engineer each selected a question on one of seven course texts: Austen's Mansfield Park, Dickens's Bleak House, Flaubert's Madame Bovary, Stevenson's Dr Jekyll and Mr. Hyde, Kafka's 'The Metamorphosis', Proust's Swann's Way, and Joyce's Ulysses. The responses they turned in take the form of writing, drawing, painting, film, graphs, indexes, lists, maps, newly designed editions, objects, scale-models, a lecture and a reading game. 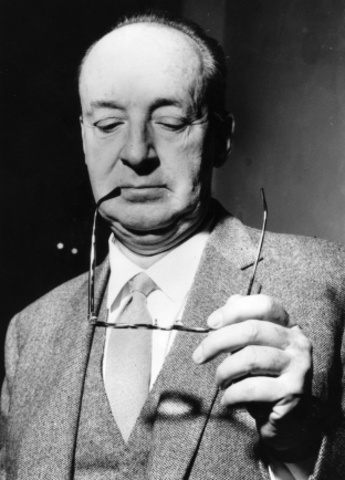 The aim of the project is to discover what Nabokov's idiosyncratic take on 'good reading' might have to teach us today: about the novel, about how reading works across practices and disciplines, and about the past, present and future forms of literary criticism.